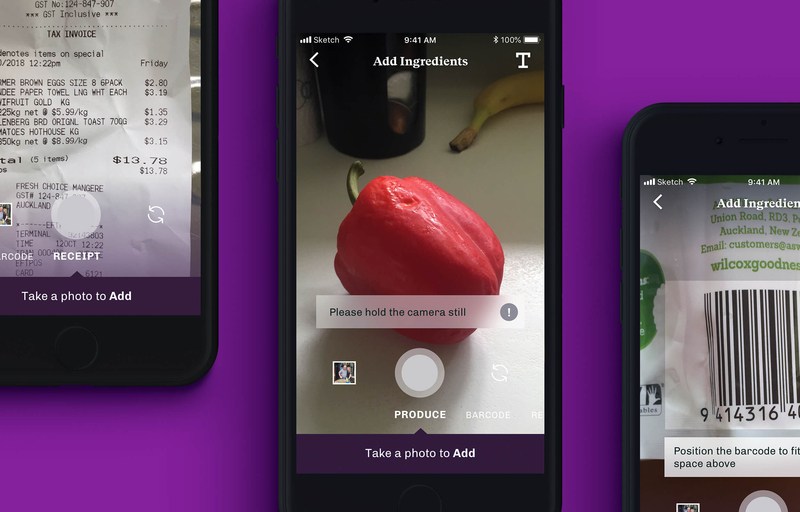 Re-framing meal practices to reduce household food waste. In a world where choice is key and flexibility is paramount it’s no wonder that the food outside the bounds of our kitchen is often more appealing. Utilising the food we have can seem mundane. Outdated food management practices take time and effort many households today can’t afford. Household Food Waste is a product of this struggle to co-ordinate consumption. 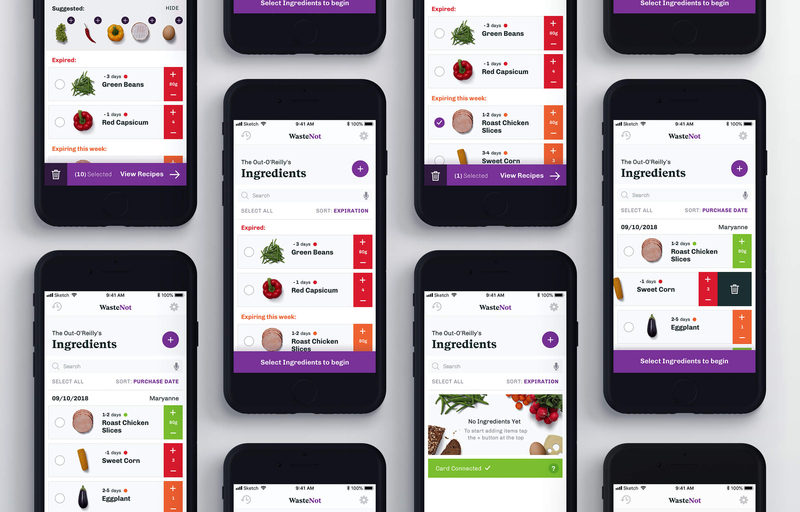 This project explores how this issue can be resolved intuitively through centralising household food management. 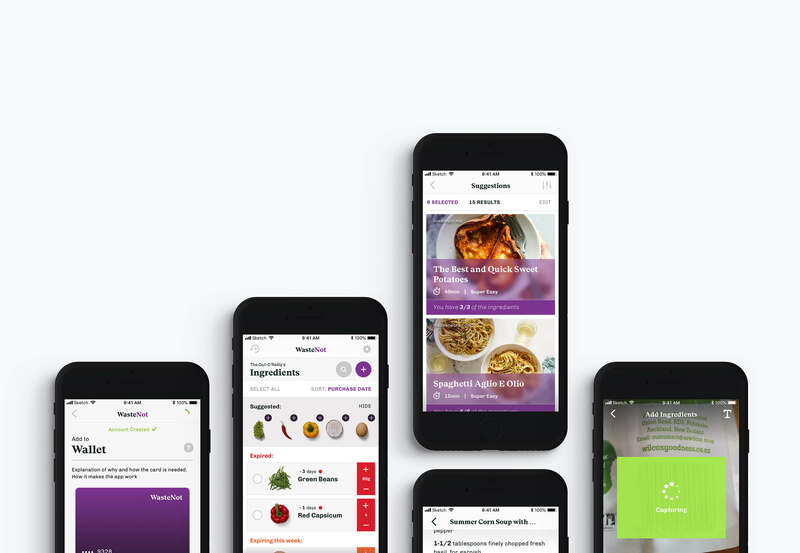 WasteNot organises and orders stock on hand; providing an information layer about whats expiring and when. 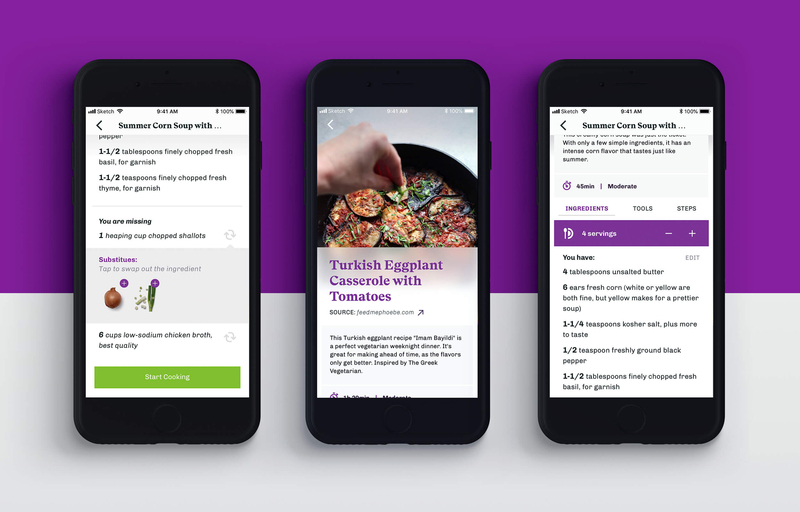 On this basis the app flips recipe selection. 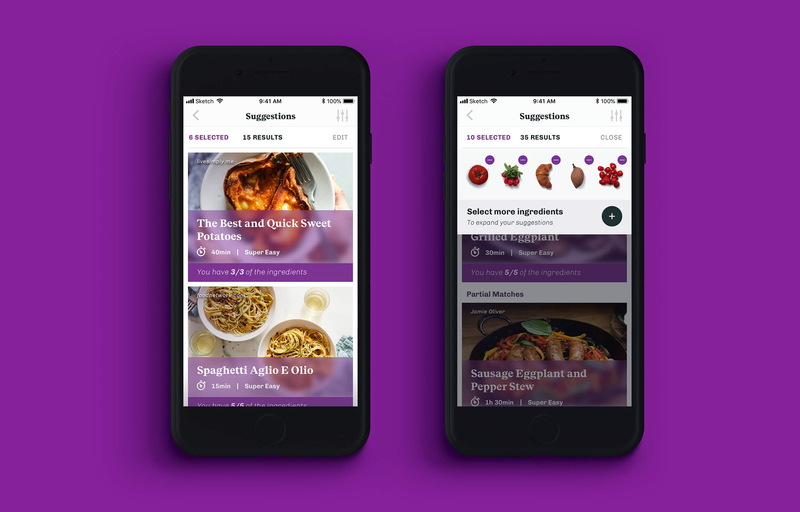 Searching from ingredients already in the cupboard, the app provides users with recipe suggestions to utilise them.